Tishomngo, does that name sound familiar? I hear the sound of the drum—the report of “death guns” is roaring in our valley—a warrior’s spirit is passing away. The brave Tisho Mingo, the veteran warrior of our tribe, is gone! His clansmen are gathering around the corpse. Long years have passed since first his native hills re-echoed his war-hoop—when grey-headed warriors gathered around his war dance, and said, “Go, young warrior, go—It is beloved Washington who calls for help.” Our aged warrior and chieftains are all gone. Tisho Mingo, the last of the brave, is gone! They are all gone!—Tuscaloosa Flag of the Union, June 30, 1841.Source: Thomas McAdory Owen’s Revolutionary Soldiers in Alabama, Alabama Department of Archives. October 22, 2017 | Categories: Alabama, Carolyn Murray Greer, Remembering the Shoals, Revolutionary War | Tags: Captain Tisho Mingo, Carolyn Murray Greer, Remembering the Shoals, Revolutionary Soldiers in Alabama | Comments Off on Tishomngo, does that name sound familiar? there were so many of you, and George, and William, and John, and the ands could go on and on. Benjamin Birdwell born 21 Dec 1765 in Virginia. He died 17 Oct 1840 in Sullivan County, Tennessee. He is the son of George Birdwell and Mary Looney Birdwell. It appears that this Benjamin Birdwell may have also served in the War of 1812, but needs documentation if true. Levi Casey had many names bestowed upon him during his short lifetime. He was an Overmountain Man, Militia Man, Captain, Colonel, Brigadier General, Congressman, Senator, son, brother, husband, and father; most importantly of all was the title Patriot. Levi Casey was born in the year 1749 in the state of South Carolina according to records submitted and accepted into the D.A.R. files. That would seem accurate considering he died in the first day of February 1807 in his 59th year which would put his birth year at 1749, unless he died on his birthday. He was born in what was then the old Ninety-Six District in which he had a hand in dividing into what would become Newberry County. 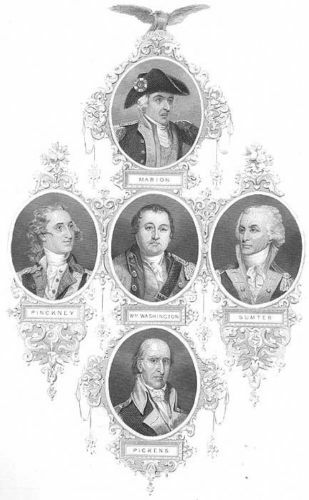 In the Revolutionary War, brothers Benjamin, Randolph and Levi lent service as did their father, Abner Brooks Casey. Abner gave service and provided aide to the cause. Abner Brooks Casey was awarded a Bounty Land Grant in Kentucky for his effort. The Casey brothers were in the Second Carolina Regiment under Col. Elijah Clark and fought in the Battle of King’s Mountain. Levi Casey became a (started out as a Captain) Lieutenant, then a Colonel of South Carolina Troops, and finally a Brigadier General, commanding the brigade consisting of the Laurens, and Newberry regiments. He commanded a company at the attack on Savannah and distinguished himself at Rocky Mount, King’s Mountain, Hanging Rock, Musgrove’s Mils, Fishing Creek, Blackstocks, and Cowpens. After the fall of Charlestown, the British authorities considered South Carolina under British control, and some of the rebels even went to the British camp and sought protection. Levi and others would not entertain taking that action for one second. They were true blue and staunch patriots of the American cause and would willingly take any risk to secure Independence. US Congressman. Elected as a Democratic-Republican to the Eighth and Ninth Congresses, he served from 1803 until his death. Casey was a South Carolina native but very little is known of his early life. During the Revolutionary War he was commissioned a Captain in the Continental Army and fought with distinction at the Siege of Savannah (1779) and at the battles of Rocky Mount (1780), Hanging Rock (1780), and Cowpens (1781). At the end of the conflict he was a Colonel in command of South Carolina’s Little River Regiment, and subsequently became a Brigadier General of the State Militia. He was a five-term member of the State Senate (1781 and 1782, 1800 to 1802) and served nine terms in the State House of Representatives (1786 to 1788, 1792 to 1795, 1798 to 1799), prior to his election to the US House. In 1802, he was elected as a Republican to serve in the U. S. House of Representatives within the 8th and 9th Congresses representing the state of South Carolina. There he served the 7th District that included Abbeville, Laurens and Newberry Districts. He served in that capacity from 4 March 1803 until his death 1 February 1807. He was elected to the 10th Congress before the close of the 9th Congress, but died, likely in the state house, in Washington D. C. on the first day of February from a massive heart attack. He was the first elected dignitary in our nation to die while in office (followed closely by another elected official who was buried in the Congressional Cemetery before Levi Casey was disinterred) and was initially buried at the St. Paul’s Presbyterian Cemetery [Rock Creek Cemetery] in Georgetown. Being the first experience in our young nation of someone dying while serving in office, there was no official burying ground for dignitaries at the time and that fact created a little bit of a conundrum. Efforts were quickly made to secure and dedicate a spot for just such dignitaries, and thus the Union Cemetery known as the Congressional Cemetery came to fruition. Affiliate Publication Title: Revolutionary War Rolls, 1775-1783. Died, in this city, on Sunday morning at 4 o’clock, 1st instant of a pulindnick disease, Brigadier General Levi Casey, of South Carolina, in the fifty-ninth year of his age. The fatal illness of this amiable gentleman was but of short duration; his closing moments were passed with that serenity which arises from the reflection of a well-spent life; his last breath was drawn with a calmness, resulting only from true fortitude and virtue. Early in the revolutionary war, General Casey received the command of a company, with which, he gallantly assisted at the siege of Savannah, in the attempt made by the Americans and French to storm the British works. He was afterwards distinguished as a brave and prudent officer in the battles of Rockey Mount, Hanging rock, Musgoves, King’s mountains, Fishdamford, Blackstocks and at the Cowpens, where, he performed very important services to General Morgan. Through the whole war he enjoyed, as a brave and valuable officer, the applause, friendship and confidence of General Sumpter. During many years after the close of that war, in which his conduct was so important and successful, he represented Newbury district in the state legislature, both in the Senate and House of Representatives, and was, at the time of his death, on the fourth term of service in Congress, a representative from South Carolina. The friends and family of no man have more cause to lament a loss of this land, than those of General Casey; for in sweetness and equanimity of temper, he was equaled by few; in the tenderness of affection, of domesticities, surpassed by none. He was from the commencement of the revolution, a uniform patriot; he has left behind him, the surest testimony of public confidence and private worth, the universal love of his neighbors. Painful as the regrets of his family must be, they will derive some consolation from the marked respect which was paid to his funeral by the national legislature. In this too, will the old revolutionary soldier participate; because, he will be in it, the memory of the brave is not forgotten. The following is the order of procession as it moved from the capitol. When the procession arrived at Rock Creek, it was formed on foot, (two and two) the carriages following behind, and proceeded in that manner to the grave. The Speaker of the House of Representatives, the President of the Senate, and the Pall-bearers, with white scarves over the right shoulder and white gloves. The chaplains of Congress and other ministers with white scarves over the right shoulder and round the hat, and white gloves. The sergeants at arms, clerk of the House, and Secretary of the Senate, with white scarves over the right shoulder only. The members of the House of Representatives, with black crape on the left arm. ↑ Citing this Record: “United States Revolutionary War Rolls, 1775-1783”, database with images, FamilySearch (https://familysearch.org/ark:/61903/1:1:Q2DG-4DS4 : 21 December 2016), Levy Casey, 1782. ↑ Citing this Record: “United States Revolutionary War Rolls, 1775-1783”, database with images, FamilySearch (https://familysearch.org/ark:/61903/1:1:Q2DG-W77L : 21 December 2016), Livy Casey, 1782. ↑ Citing this Record “United States Revolutionary War Rolls, 1775-1783”, database with images, FamilySearch (https://familysearch.org/ark:/61903/1:1:Q2DG-W7SD : 21 December 2016), Livy Casey, 1782. ↑ Citing this Record: “United States Census, 1800,” database with images, FamilySearch (https://familysearch.org/ark:/61903/1:1:XHRC-363 : accessed 14 June 2017), Levi Casy, Newberry District, South Carolina, United States; citing p. 68, NARA microfilm publication M32, (Washington D.C.: National Archives and Records Administration, n.d.), roll 50; FHL microfilm 181,425. ↑ Citing this Record: “Find A Grave Index,” database, FamilySearch (https://familysearch.org/ark:/61903/1:1:QVV3-3F96 : 13 December 2015), Levi Casey, 1807; Burial, Washington, District of Columbia, District Of Columbia, United States of America, Congressional Cemetery; citing record ID 6984077, Find a Grave,http://www.findagrave.com. His parents are Simon E Neill Acuff who was born 1877 and died in 1943 and Ida Carr Acuff who was born 1879 and died in 1969. His siblings included Paul Briscoe Acuff 1900-1984 and Claude Acuff 1909-1971. He was born Roy Claxton Acuff, the third of five children, into a musical family. His father was a Baptist preacher and accomplished fiddle player and his mother played the piano. 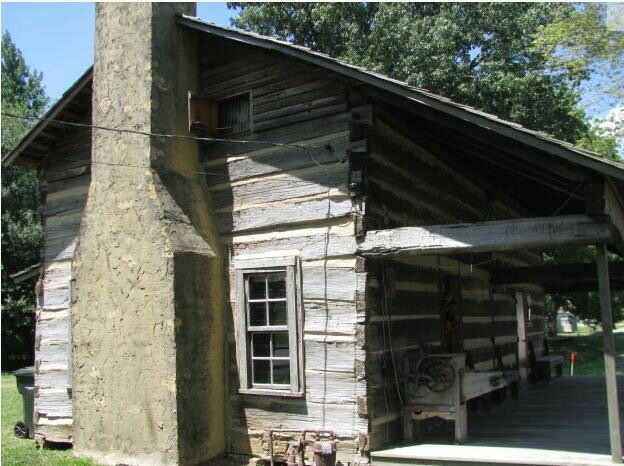 During his early years, the Acuff house was a popular place for local gatherings and at these events, he would often amuse people by balancing farm tools on his chin. He also learned to play harmonica and jaw harp at a young age. The Acuffs were a fairly prominent Union County, Tennessee family. 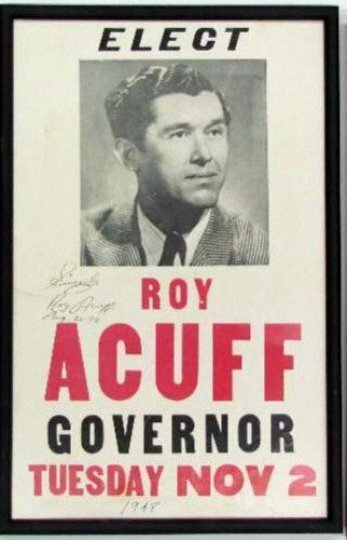 Roy’s paternal grandfather, Coram Acuff, had been a Tennessee state senator, and Roy’s maternal grandfather was a local physician. The talent was passed through to Roy’s father and mother, and himself. In 1919 his family relocated to Fountain City (now a suburb of Knoxville), Tennessee, where he attended Central High School and sang in the school chapel’s choir as well as performing in school plays. His primary passion was athletics and he was a three-sport standout at Central, and after graduating in 1925, he was offered a scholarship to Carson-Newman University in Jefferson City, Tennessee, but turned it down. He played with several small baseball clubs around Knoxville, worked at odd jobs, and occasionally boxed. In 1929 he tried out for the Knoxville Smokies, a minor-league baseball team then affiliated with the New York (now San Francisco) Giants. After a series of collapses in spring training following a sunstroke, ended his baseball career prematurely and the effects left him ill for several years to the point where he suffered a nervous breakdown in 1930. Not only was he attracted to the sport of baseball, he had a penchant for fighting – after his family moved to Knoxville, he was frequently arrested for fighting. While recovering, he took up the fiddle, often playing on the family’s front porch in late afternoons after the sun went down. His father gave him several records of regionally-renowned fiddlers, such as ‘Fiddlin’ John Carson and Gid Tanner, which were important influences on his early style. In 1932 he hired on with Dr. Hauer’s Medicine Show as one of its entertainers where he met legendary Appalachian banjoist Clarence Ashley, from whom he learned “The House of the Rising Sun” and “Greenback Dollar,” both of which he later recorded. In 1934 he left the medicine show circuit and began playing at local shows with various musicians in the Knoxville area. That year, guitarist Jess Easterday and Hawaiian guitarist Clell Summey joined Acuff to form the Tennessee Crackerjacks, which performed regularly on Knoxville radio stations WROL and WNOX. Within a year, the group had added bassist Red Jones and changed its name to the Crazy Tennesseans. The popularity of his rendering of the song “The Great Speckled Bird” helped the group land a contract with the American Record Company, for whom they recorded several dozen tracks (including the band’s best-known track, “Wabash Cannonball”) in 1936 and 1937 before leaving over a contract dispute. Acuff headed north to Chicago for a recording session, which resulted in 20 different songs. In addition to “The Great Speckled Bird,” he recorded “Steamboat Whistle Blues” and “The Wabash Cannonball,” another Tennessee standard that featured the singer imitating the sound of a train whistle; he also made a handful of risqué numbers during these sessions, which were released under the name the Bang Boys. In 1938 the Crazy Tennesseans relocated to Nashville, Tennessee to audition for the Grand Ole Opry and they were offered a contract. He changed the group’s name to the “Smoky Mountain Boys,” referring to the mountains near where he and his bandmates were raised. Shortly after the band joined the Opry, Clell Summey left the group, and was replaced by dobro player Beecher (Pete) Kirby, or “Bashful Brother Oswald.” His powerful lead vocals and Kirby’s dobro playing and high-pitched backing vocals gave the band its distinctive sound. By 1939, Jess Easterday had switched to bass to replace Red Jones, and Acuff had added guitarist Lonnie “Pap” Wilson and banjoist Rachel Veach to fill out the band’s line-up. Within a year, Roy Acuff and the Smoky Mountain Boys rivaled long-time Opry banjoist Uncle Dave Macon as the troupe’s most popular act. In 1940 he and his band traveled to Hollywood, California, where they appeared in the motion picture “Grand Ole Opry.” He also appeared in several subsequent B-movies, including “O, My Darling Clementine” (1943), in which he played a singing sheriff, and “Night Train to Memphis” (1946), the title of which comes from a song he recorded in 1940. In 1943, Acuff was initiated into the East Nashville Freemasonic Lodge in Tennessee and he would remain a lifelong member. Later that same year, Acuff invited Tennessee Governor Prentice Cooper to be the guest of honor at a gala held to mark the nationwide premier of the Opry’s Prince Albert show. Cooper rejected the offer, however, and lambasted Acuff and his “disgraceful” music for making Tennessee the “hillbilly capital of the United States.” A Nashville journalist reported the governor’s comments to Acuff, and suggested Acuff run for governor himself. While Acuff initially did not take the suggestion seriously, he did accept the Republican Party nomination for governor in 1948. In 1942 he and songwriter Fred Rose formed Acuff-Rose Publishing Company. He originally sought the company in order to publish his own music, but soon realized there was a high demand from other country artists, many of whom had been exploited by larger publishing firms. Due in large part to Rose’s ASCAP connections and gifted ability as a talent scout, Acuff-Rose quickly became the most important publishing company in country music. In 1946, the company signed country singer Hank Williams, and in 1950 published their first major hit, Patti Page’s rendition of “Tennessee Waltz”. Later that year, he left the Grand Ole Opry after a management dispute. In 1948 he made an unsuccessful run for the governor of Tennessee on the Republican ballot. He then spent several years touring the Western United States, although demand for his appearances dwindled with the lack of national exposure and the rise of musicians such as Ernest Tubb and Eddy Arnold, who were more popular with younger audiences. He eventually returned to the Opry however, by the 1960s, his record sales had dropped off considerably. Roy Acuff was called the King of Country Music, and for more than 60 years he lived up to that title. If any performer embodied country music, it was Roy Acuff. Throughout his career, Acuff was a champion for traditional country values, enforcing his beliefs as a performer, a music publisher, and as the Grand Master of the Grand Ole Opry. Acuff was the first country music superstar after the death of Jimmie Rodgers, pioneering an influential vocal style that complemented the spare, simple songs he was performing. Generations of artists, from Hank Williams to George Jones, have been influenced by Acuff, and countless others have paid respect to him. At the time of his death in 1992, he was still actively involved in the Grand Ole Opry, and was as popular as ever. In the 1980s, after the death of his wife, Mildred (Mildred Louise Douglas Acuff 1914-1981) he moved into a house on the Opryland grounds and continued performing. He arrived early most days at the Opry, performing odd jobs, such as stocking soda in backstage refrigerators. In 1991, he was awarded the National Medal of Arts and given a lifetime achievement award by the John F. Kennedy Center for the Performing Arts, the first Country music artist to receive the esteemed honor. Additionally, in 1962 he became the first living inductee into the Country Music Hall of Fame. Two museums have been named in his honor, the Roy Acuff Museum at Opryland and the Roy Acuff Union Museum and Library in his hometown of Maynardville. He has a star on the Hollywood Walk of Fame located at 1541 Vine Street. He died of congestive heart failure in Nashville, Tennessee at the age of 89. During his musical career, he recorded a total of 43 albums (from 1949 to 1987) and 20 singles (from 1936 to 1989). One son, Roy Neill Acuff was born 1943; and died in 2015. 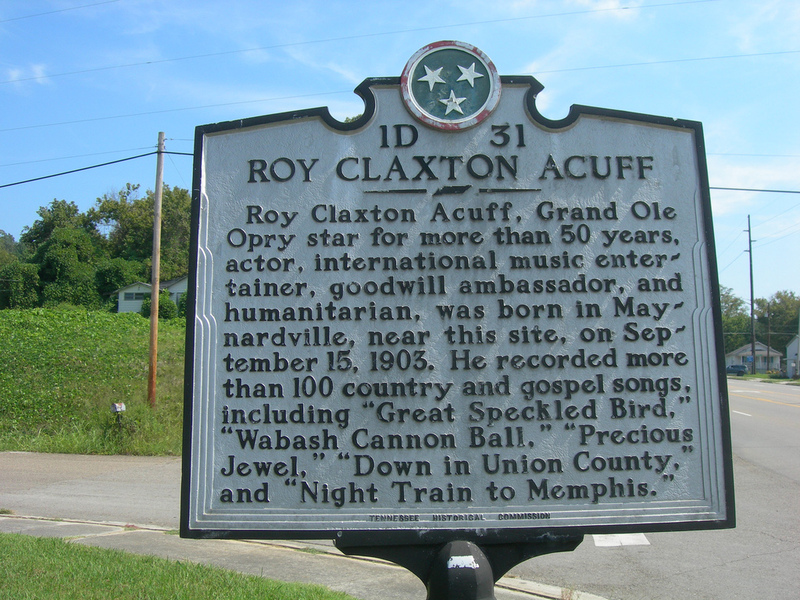 Roy Claxton Acuff is buried at Spring Hill Cemetery at Nashville, Davidson County, Tennessee. He rests in a plot in Hill Crest Garden. What is so interesting about Roy Claxton Acuff is his kin to our Isbell line through his mother Ida Carr Acuff. Zachariah Isbell born circa 1722 and wife Elizabeth Polly Miller. Zachariah Isbell and Elizabeth Polly Miller had a daughter Lovisa Isbell. Lovisa Isbell was born 21 November 1743 in Charleston, Dorchester County, South Carolina and died 6 April 1808 in Jonesborough, Washington County, Tennessee. She married John Carr, a soldier of the Revolutionary War, in 1756 in Charleston, Dorchester County, South Carolina. John Carr was born 1737 or 1743 in Charleston, Dorchester County, South Carolina and died in 1818 in Washington County, Tennessee. His birth is given as 10 or 19 Jan 1737 by some researchers and as 21 Nov 1743 by other researchers. His death is given as 6 April or 11 June 1818 by other researchers. John Carr and Lovisa Isbell Carr are buried at Carr-Crumley-Krouse Cemetery in Jonesborough, Washington County, Tennessee. 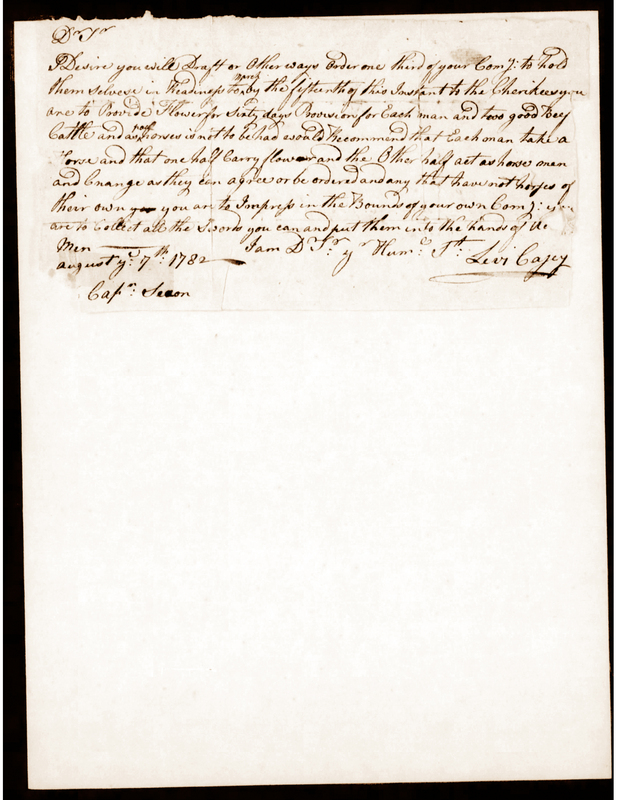 Ralph Bolton Carr made application to DAR on the Revolutionary War service of John Carr, husband of Lovisa Isbell Carr, as a fourth-great-grandson of John Carr. John Carr’s service is documented in the South Carolina Archives as having served in Captain Thomas Woodward’s 8th Company of Rangers under Col William Thompson, and also having served later in Col William Thompson in the 3rd Regiment of South Carolina. John Carr’s Revolutionary service is documented through the genealogical line as provided by 1) the family Bible, 2) the family Bible in possession of Mrs Peter Naher (who is the aunt of Ralph Bolton Carr) of Johnson City, Tennessee, by by the Will of Alfred Carr, 3) by the family Bible in possession of Mr Paul Carr (uncle of Ralph Bolton Carr) in Johnson City, Tennessee and marriage records of Washington County on page 44 Marriage Records 1787-1840 by Mullins, 4) by Willis of Washington County, Tennessee, Book 1, page 302 of Richard Carr, and 5) Will Book 1, page 166 Will of John Carr, Washington County Will, State of Franklin DAR Publication. The descent of Roy Claxton Acuff continues with the son of Lovisa Isbell and John Carr through their son John Carr who married Dorcas McCubbin. One of the children of John and Dorcas McCubbin Carr was James McCubbin Carr. James McCubbin Carr was born 5 February 1801 in Claiborne County, Tennesssee and died 8 September 1889 in Union County, Tennessee. He was amarried to Sarah Sallie Rogers and one of their seven known children was Richard Jackson Carr. Richard Jackson Carr was born 26 February 1826 in Claiborne County, Tennessee and died 12 February 1899 in Maynardville, Union County, Tennessee. Some give his death year 1889, but it is likely that 1899 is correct. His burial place has not with certainty known. Richard Jackson Carr married Nancy Ann Marshall and one of their sons was Alonzo Willet Carr. Alonzo Willet Carr was born 1 July 1855 in Union County, Tennessee and died 2 July 1933 n Clinton, Anderson County, Tennessee. He was laid to rest in Knoxville, Knox County, Tennessee. Alonzo W Carr married Mary Paralee Sharp and they had seven known children: Ormiston T Carr born 1876, Charles A Carr born 1877, James Carr born 1883, Ollie Carr born 1883, Nellie M Carr born 1891, Trula F 1896 and Ida Florence Carr. Ida Carr was born 21 October 1879 and died 17 September 1969 in Nashville, Davidson, Tennessee. Ida Florence Carr and Rev Simon Ed Neill “Eddy”Acuff were married 25 September 1898 in Union County, Tennessee, USA, likely in Maynardville. By 1930 they were living in Knoxville, Tennessee. and later located to Nashville. There may have been a good reason for that re-location. Their known children were: Paul Briscoe Acuff 1900-1984, Nancy Juanita Acuff 1901-1985, Roy Claxton Acuff 1903-1992, Susie Lee Acuff 24 September 1905-22 December 1990, and Claud R Acuff 1910-1971. Nancy Juanita Carr married Harstell D Phillips. Susie Lee Acuff married Robert L Allen. Roy Acuff’s ancestors with the surname Isbell included many Revolutionary War Soldiers and veterans of many of wars and boatloads of Ministers of the Gospel. The state of Tennessee was founded by Zachariah Isbell. He was a member of the Watauga Settlement and among the original 13 Commissioners who set up the settlement. Zachariah and many other Isbell kin were at King’s Mountain and some of the fiercest and most pivotal battles of the Revolution. And the beat goes on with talent of the musical variety in our local Isbell family in northwestern Alabama. A local Isbell relative, Jason Isbell. He earned two Grammies this year. His group is known as Jason Isbell and the 400 Unit. 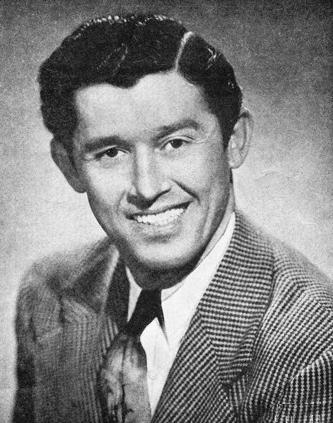 Isbell cousin, Roy Acuff seems to have been the first to record “The House of the Rising Sun.” His rendition dates back to 1938. Hmmm, the Crackerjacks are not just Tennessean, but Alabamian, too. he even married at least one of our allied ancestors. Jeremiah served in the militia under Colo. Roebuck after the fall of Charleston (Roster of S. Carolina Patriots in the American Revolutionary War). Jeremiah Lucas was the father of our Willis Lucas who was a Physician. Willis Lucas, M D was the father of our Sarah Frances Lucas who married Jacob Duckett Casey as his third wife and had our Willis Robert Lucas Casey who was born about 1841 in Lauderdale County, Alabama. Jeremiah Lucas and wife Sarah Willis Ingram Lucas had ten known children. They were: Joseph Lucas 1773 – 1848, Ingram William Lucas 1777 – 1841, George Lucas 1782 – 1855, Jesse Lucas who was born 1788, Jeremiah Lucas born 1791, William “Willie” Lucas 1793 – 1861, Peggy Lucas born 1797, and Sarah Elizabeth H Lucas who was born 9 January 1801 in Union County, South Carolina; she died 13 July 1851 in Greenville, Hunt County, Texas. Sarah Elizabeth H. Lucas married John Hampton Hamilton, son of Jeremiah & Ann (Hampton) Hamilton on 7 Jul 1819 in Davy Crockett’s home, Lawrence County, Tennessee. The marriage was solemnized by Davy Crockett. 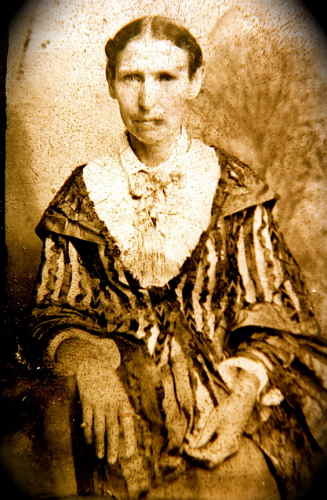 Place and Cause of death as transcribed from the Family Bible by Levin Hamilton and in a letter to Uncle Asberry & Aunt Liza Hamilton, dated August 13, 1882, Paris, Texas reads: “Sarah H. Hamilton died at Greenville, Texas July 13, 1851 aged 50 years 6 mo 4 days- of fever. Her end was peaceful and happy rejoicing that she was going home to join those who had gone before “Blessed are the Dead who die in Lord”. C. A. Warfield. Sarah Lucas Hamilton was the third person to be buried in East Mount Cemetery, Greenville, Hunt County Texas [Source: Honorable Mention Early Families Hunt Co, TX R976.4272, Vol 3, page 34; record is located at the Dallas Public Library]. Her grave marker cannot be found and a letter to cemetery department brought news that the records went no further back than 1920. A fire had destroyed the records before that. After the fire a census was taken and if the grave was unmarked or unreadable they simply put “unknown”. Known children of John Hampton Hamilton and Sarah Elizabeth H Lucas Hamilton were : William Carroll “Bill” Hamilton born 1820; Ann Hampton Hamilton Adams born 1821; Joseph Decator Hamilton born 1822; Martha Parrom Hamilton Warfield born 1824; Jane Anderson Hamiton Tennyson born 1825; Jeremiah Jay “Jerry” Hamilton born 1826; Asberry Francis Hamilton born 1828; Joshua Butcher Hamilton born 1829; John Hampton Hamilton born 1831; Sarah Elizabeth Washington Hamilton Wilson born 30 Apr 1834; and George Willis Washington Hamilton born 30 Apr 1834. There is no grave marker, but she was the third person buried in East Mount Cemetery. Over time her marker has been lost. East Mount Cemetery is located in Greenville in Hunt County, Texas. 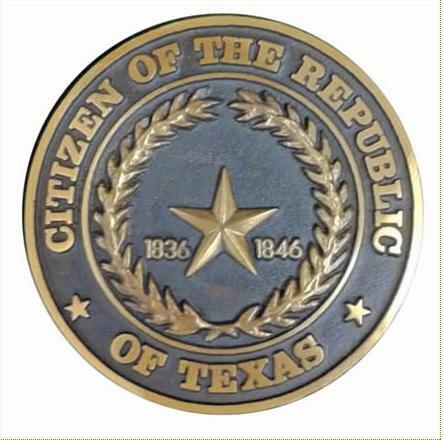 Sarah Elizabeth H “Polly” Lucas Hamilton has qualified for the distinction of the Citizen Medallion of the Republic of Texas. The Citizen Medallion is to mark the graves or cenotaphs of people whose residence was in The Republic of Texas before 19 February 1846 before Texas became a state. in the Revolutionary War and forward…hmmm now how could that impact a family heritage? Colonel and then Lieutenant Levi Casey and likely his brothers and father fought alongside of some of the most famous generals in history. General Francis Marion “The Swamp Fox” and General Thomas Sumter to name two. General Thomas Sumter and Levi Casey were close friends. Francis Marion (1732 – 1795) was born in Berkeley County, S.C. A planter, he had fought against the Cherokees in 1759 and 1761, and when the American Revolution began, he volunteered and led “irregulars” in several engagements; because his sprained ankle had led him to leave Charleston, S.C., before its surrender to the British, he was available to command the remaining resistance in South Carolina after the colonials’ loss at Camden, S.C. Known as the “Swamp Fox” because the British Col. Tarleton called him “this damned old fox” and because he operated out of a secret hideout on a river island, he used guerrilla tactics to strike at stronger British and Loyalist forces, disrupting enemy communications, capturing supplies, and freeing prisoners before disappearing into the wilderness. From 1781 on he led his troops under Gen. Nathaniel Greene. After the war, he served in the South Carolina senate and commanded Fort Johnson in Charleston harbor (1784–90). William Washington was born on February 28, 1752 in Stafford County, Virginia. His parents intended him to join the ministry and sent him to study with a theologian. However, in early 1776 he accepted a captain’s commission in the Continental Army commanded by his cousin, George Washington, and then fought at Long Island, Trenton (where he was wounded), and Princeton. In 1780, he transferred to the Army’s Southern Division and fought in a series of skirmishes around Charleston. The following year, he led his cavalry to victory in close combat with British regulars at Cowpens. His success there, in particular his hand-to-hand saber battle with the British commander Tarleton, earned Washington a Congressional medal. He then joined the American forces in North Carolina for battles at Guilford Courthouse, Hobkirks Hill, and Eutaw Springs, where he was wounded and captured. He remained a paroled prisoner-of-war in Charleston until the city’s evacuation by the British at the end of 1782. After the war, Washington stayed in Charleston, where he served in the state legislature. He later refused a gubernatorial nomination, but in 1798 returned to public service as a brigadier general for service in America’s undeclared naval war with France. Washington died on March 6, 1810. Thomas Sumter (1734 – 1832) was born in Hanover County, Va. Raised on the frontier, a veteran of the French and Indian War, he settled in South Carolina in 1765. During the American Revolution he led a partisan campaign against the British in the Carolinas and the success of his small force gained him the nickname, “Gamecock of the Revolution” (and led to his name being given to the island-fort off Charleston where the Civil War began). After the war, Sumter sat in the U.S. House of Representatives and the Senate. Andrew Pickens, 1739 — 1817 was born near Paxtang, Pa. The son of Irish immigrants, he settled in South Carolina in 1763. In the American Revolution, he helped defeat the Loyalist forces at Kettle Creek, Ga., contributed to the decisive victory at Cowpens, S.C. (1781), and commanded the forces that captured Augusta, Ga.